Credit: By AMagill on Flickr. Some rights reserved. The journalist behind multimedia long-form feature Snow Fall, published online by the New York Times last year, has been named as the winner of the Pulitzer for feature writing. 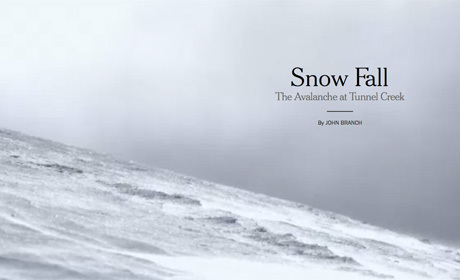 Snow Fall, by sports journalist John Branch, was published in December last year as part of the Times's step into ebook publishing with Byliner and the planned launch of a number of long-form "narratives in areas in which The Times has reporting expertise". 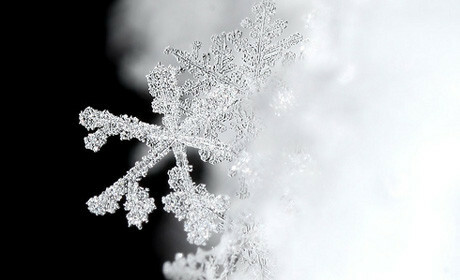 Snow Fall, which was about "The Avalanche at Tunnel Creek", was the first feature to be published under the new partnership. The interactive feature provides a multimedia digital experience for the reader as they move further through the story, with images, video, maps, moving explainer graphics and image slideshows. The main story is presented in chapter-style stages, with users able to choose whether or not to click on video and slideshows to explore the content further. The feature gathered much attention in the industry following its publication at the end of last year. On Poynter Jeff Sonderman reported that "the New York Times is pushing multimedia storytelling in an exciting direction" while Nieman Storyboard described Snow Fall as a "multimedia storytelling sensation". And, as the Nieman Storyboard post adds, this is not the first accolade for the Snow Fall project, which also won a Peabody Award in March. Source, Mozilla OpenNews's data and coding site, has more details on the work behind the feature. In a memo to staff in December, published by Jim Romenesko, executive editor of the Times Jill Abramson described the feature as "a cool moment in the evolution of our online storytelling". And two months later, when the news outlet discussed the redesign of the New York Times website, manager of corporate communications at the New York Times Linda Zebian indicated that the approach taken with Snow Fall would inspire the new website. The Pulitzer for feature writing awards $10,000 to the winner, in this case John Branch, who has been at the Times since 2005. The Award website said Branch received the prize for his "evocative narrative about skiers killed in an avalanche and the science that explains such disasters, a project enhanced by its deft integration of multimedia elements". There are 14 journalism Pulitzer categories in total. Staff at the New York Times also won the prize for investigative reporting, explanatory reporting and international reporting. The award for national reporting went to three journalists from online non-profit news outlet Inside Climate News: Lisa Song, Elizabeth McGowan and David Hasemyer. In a report on winning the award, Inside Climate News said the prize was given for its coverage of "the Dilbit Disaster, which "began with a seven-month investigation into the million-gallon spill of Canadian tar sands oil into the Kalamazoo River in 2010". "It broadened into an examination of national pipeline safety issues, and how unprepared the nation is for the impending flood of imports of a more corrosive and more dangerous form of oil." According to the website, the editorial team currently consists "of seven full time professional journalists and a growing network of contributors". Other Pulitzer winners include The Denver Post in the breaking news category, in recognition of their "comprehensive coverage" of the Colorado cinema shooting last year. They were praised for their use of "journalistic tools, from Twitter and Facebook to video and written reports, both to capture a breaking story and provide context". In an online article covering their achievement in winning the award, the news outlet said "it will donate the $10,000 from the prize to the Aurora Mental Health Center and the Bonfils Blood Center".